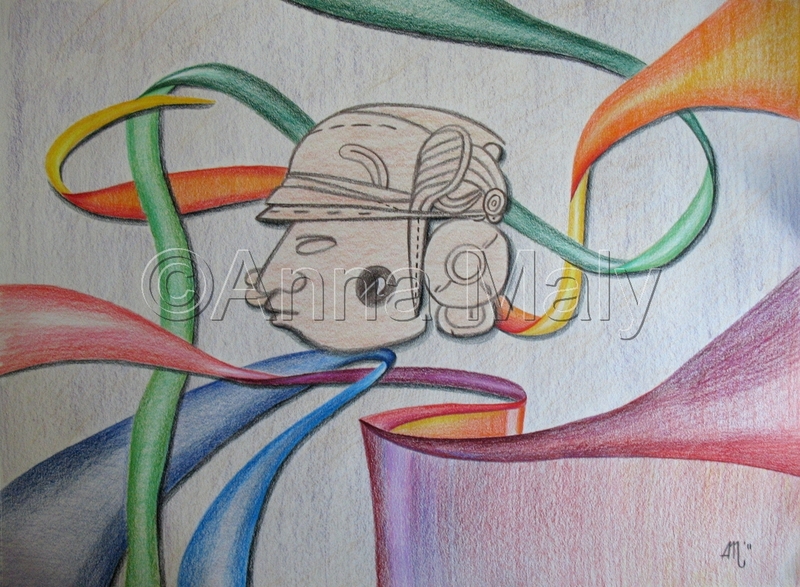 Colored pencil on paper. Mayan glyph "Artist". Artwork is under glass in metal frame.